Open mic: What car have you been trying to buy for years? Most vintage car enthusiasts have been in the following situation at least once in their lives: You find a car generally rotting away in a garage or a backyard, track down the owner hoping to take it home only to find out it’s not for sale for a variety of reasons. Personally, there are countless vehicles that immediately come to mind including a Fiat 850 sedan that’s spent a decade and a half uncovered in an old man’s front yard and an early-1950s Citroën 2CV that the owner of a local Ford dealership stashed away in the corner of his lot years ago because he hasn’t ruled out restoring it one day. 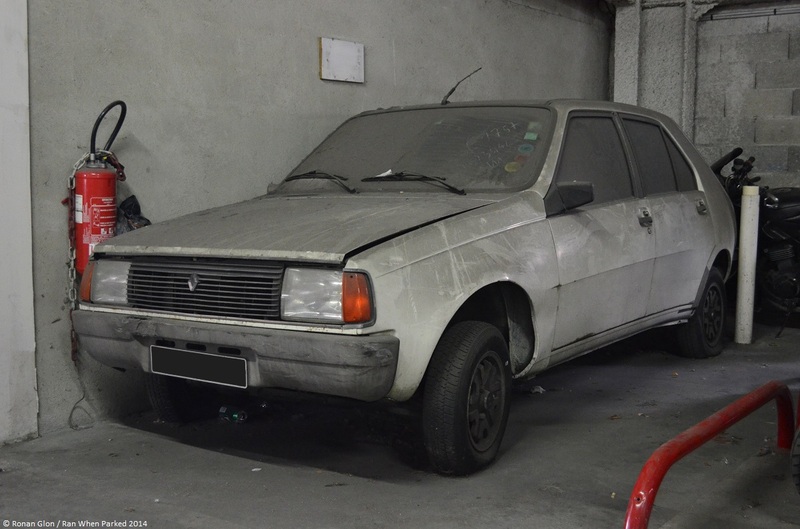 Another one that falls in that category is a 1983 Renault 14 TL (pictured below) that has been sitting in a parking garage since the early 1990s. It has a couple of dents and the interior is worn out but we’ve inspected it closely and we have not found a single spec of rust on it which is fairly amazing for a 14. The underside of this car is like-new! The folks who own the parking garage tell us a man left it there in the early-1990s when he moved about three hours away. Now in a retirement home, the owner is hanging on to the 14 out of sentimental value because it belonged to his wife who died shortly before he left. How about you, readers? What car(s) have you unsuccessfully been trying to buy for years with no end in sight? I’ve been trying to track down the owner of two Mercedes W123s (a sedan and a coupe) for about a year now. The sedan is sitting in a field, and the coupe is sitting under a tarp in a car port in a house near the field. The whole property looks abandoned, and I’ve been snooping around the county offices as well as asking around. The coupe looks to be in decent shape but I haven’t gone across the fence to check them out yet. Hopefully soon I will find the owner. They are obviously in disuse, and I’m hoping to take them off the person’s hands for little or nothing. Good luck with the 14 TL! And that 2CV would be amazing to have. It’s a shame there are so few of them here in the US. Hey, if all else fails try asking the city hall, they can generally provide you with the name and address of the folks who own the land / house. Though I guess it’s kind of useless information to have if the owners are dead, but it’s a good starting point nonetheless. I’ve done that before, all they ask (at least in Utah) is your ID and the reason why you’re interested in the place. Good luck, keep us posted! I’m guessing both cars are diesel-powered w123s? It’s an Opel Record P2 sedan for me…. The only other one I regret passing was a $200 Alfa Romeo GTV6. Sadly, that one is probably long gone. Wow, I don’t think I’ve ever seen a Hillman Minx in Utah and I lived there for over a decade. Good score. There’s a big junkyard out by Tooele that has (had?) a Hillman Husky, have you been to it? I haven’t, but I may need to go look now. Send me an email (europeancarnews at gmail dot com) and I’ll give you the exact address.